Beck Dorey-Stein attended Wesleyan University and like so many shiny new graduates the after life became a little daunting. After bouncing from one job to the next, mostly teaching, she found an opportunity on Craigslist, (of all of places!) and with a sort of Jack of all trades, master of none attitude, accepted the position and spent 5 years as a White House stenographer. 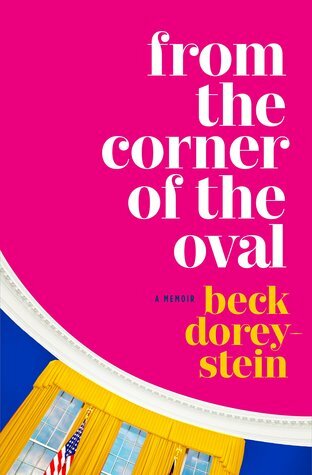 At the time Dorey didn’t quite understand what the job entailed but when she stepped onto Air Force One to travel with the elite team, the actual inner circle of President Obama, she left all her questions on the tarmac and got to work. Through new friendships, sleepless nights, trips around the entire world with the people who ran it and even an unlikely romance, Dorey’s memoir is absolutely unputdownable. Dreaming for a moment, (I wish this was me! ), thinking of the young people I know searching for a meaningful job, and all the while kvelling over the love and admiration this entire team had for Barack Obama. This memoir is funny, interesting and written with so much heart. Highly recommend this fabulous read and so grateful Dorey found her voice and shared her incredible experience with us. Rachel’s boyfriend takes her on a whirlwind romantic getaway to Paris. It is everything she has dreamed of as they plan their future and imagine what their lives will be like. As they are heading to the airport they witness a horrible accident in the tunnel. It is none other than Princess Diana. Rachel’s boyfriend becomes obsessed producing a documentary of Diana’s life, Rachel happens to have a client who grew up with Diana. As words are twisted and secrets revealed, the tragedy that rocked 1997 becomes unexpectedly entwined in their simple lives and almost tears them apart. Flashing back to the early 1900’s is portrayed the friendship of Mary Kirk and Wallis Simpson, later known as the Duchess of Windsor, an American socialite whose marriage to the British King Edward VIII caused a crisis that led to Edward's abdication. 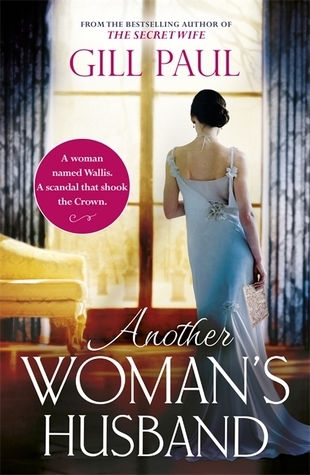 This work of historical fiction is both real and imagined: the lives of these strong, brave women that fought for independence, friendship and love, the connection to Princess Diana and Rachel, an average girl with a vintage clothing shop in London. Absolutely loved this fabulous page turner and I am equally excited to have found author Gill Paul, another British author to add to my list of favorites. Highly recommend this terrific read.